26-year old photographer Paolo Pettigiani (previously) has been taking pictures since age 11, and in the last few years has produced several series of eye-popping infrared images. Pettigiani’s most recent work showcases the Dolomites, a craggy mountain range in the northeastern region of his native Italy. Infrared photography uses a special film or light sensor that processes the usually not-visible wavelengths of infrared light (specifically near-infrared, as opposed to far-infrared, which is used in thermal imaging.) The resulting images from Pettigiani depict the stands of coniferous trees as watermelon-pink, while surfaces that don’t reflect IR light stay more true to their nature hues. 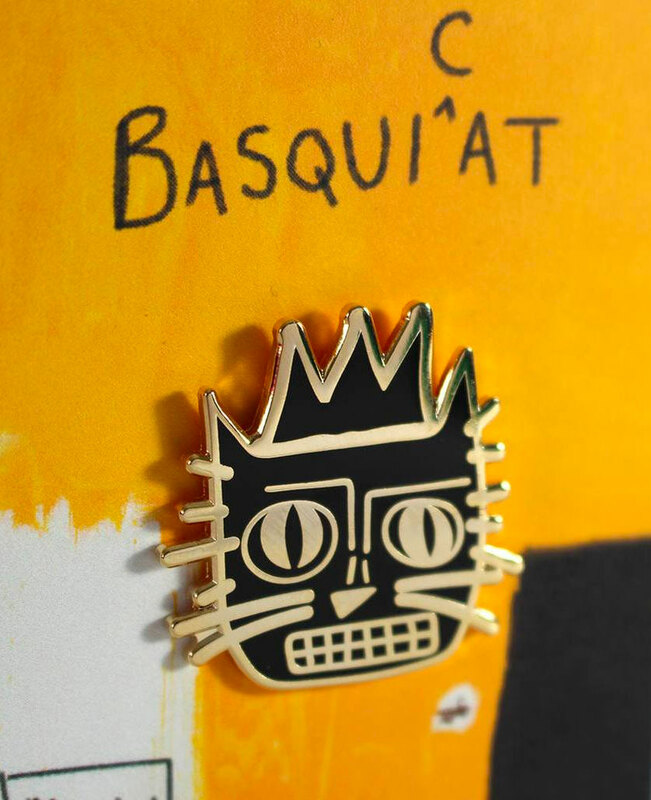 You can see more of the artist’s photographs on his website, as well as on Behance and Instagram. Pettigiani also offers prints of his work via Lumas. Photographer Kilian Schönberger (previously) climbed the Alps late at night to capture one of the mountain range’s strangest segments, alien-like columns found in South Tyrol, an autonomous province in Northern Italy. 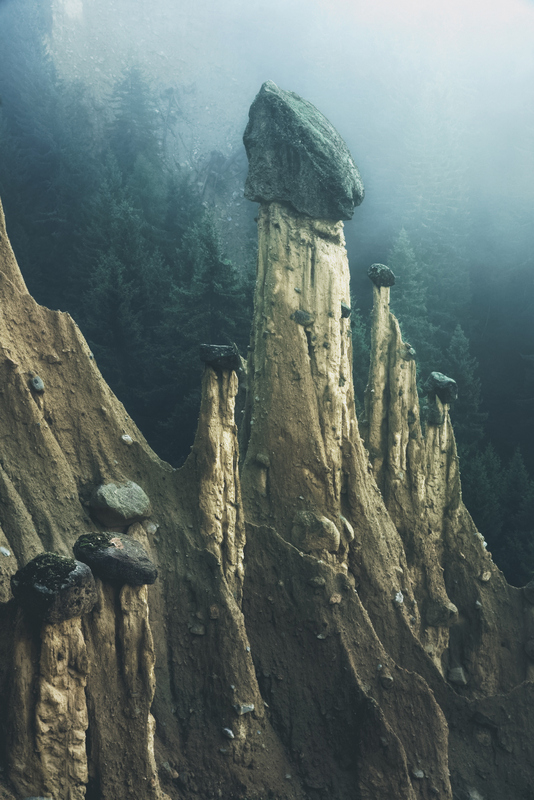 His series Otherworld showcases the so-called “earth pyramids” in a hazy dawn light, strange creations that appear like stalagmites freed from their underground caves. The structures are created by erosion, rising from clay soil left behind by glaciers from the last Ice Age. Each features a large boulder resting on top which protects the soil below. Eventually the tall columns lose the strength to hold the large rock overhead, shifting balance and sending it tumbling down the mountain. The otherworldly elements remind Schönberger of the hoodos in the Southwestern United States, however the two naturally occurring wonders are formed from two very different geological processes. You can see more of German landscape photographer’s work on his Instagram and Behance. All images provided by Ink and Movement. Okuda San Miguel (previously here and here) recently visited the Italian town of Arcugnano with his assistant Antonyo Marest to paint five different murals on the walls of the town’s kindergarten. The five murals contain birds, bears, and a winged lion—each radiating a spectrum of colors that seem to animate the mystical creatures. San Miguel was watched closely by an audience of the kindergarten’s students as he completed the murals, each work inspired by positivity, love, freedom, and nature. You can see this and other works on the artist’s Instagram.